Paul D. Bella, CPA, CVA is a Partner with Gettry Marcus CPA, P.C. and is the Partner-in-Charge of the firm’s Small Business Group and the Co-Chair of the firm’s Employee Benefit Plan Auditing Group. He is a Certified Public Accountant and a Certified Valuation Analyst. 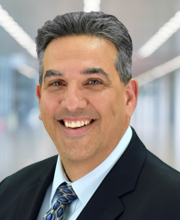 With over 25 years of experience, Mr. Bella provides accounting, audit, tax, business valuation and consulting services to closely-held and family-owned businesses in various industries. As a member of the Employee Benefit Plan Auditing Group, Mr. Bella provides auditing, consulting and advisory services for companies on their fiduciary responsibilities and reporting requirements regarding Department of Labor issues. In addition, Mr. Bella works closely with clients and advises them on various aspects of their businesses. He provides owners with the necessary information they require to help their companies grow, including financing, retirement planning, succession planning, budgeting and forecasts. Mr. Bella has extensive experience in other diversified areas such as real-estate, manufacturing, health care, wholesale distribution and retail. A graduate of Queens College, Mr. Bella is a member of the New York State Society of Certified Public Accountants, Nassau Chapter, the American Institute of Certified Public Accountants, the National Association of Certified Valuators and Analysts and the Sub Contractor Trade Association.